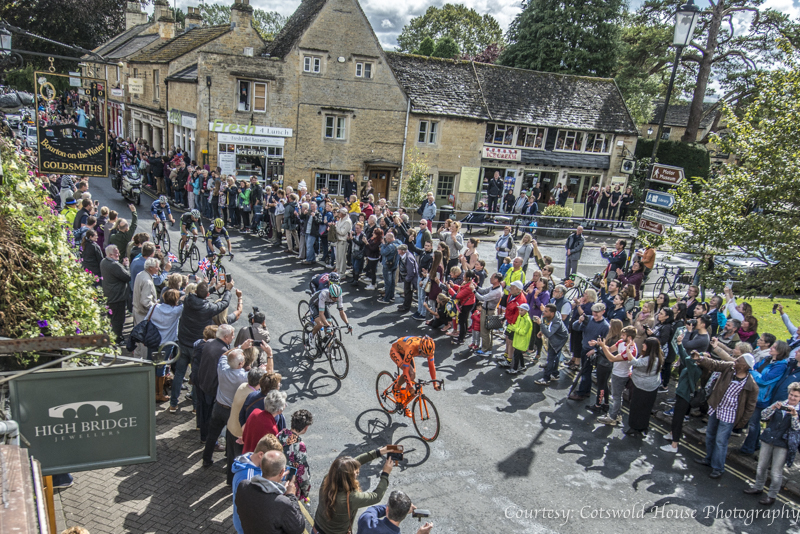 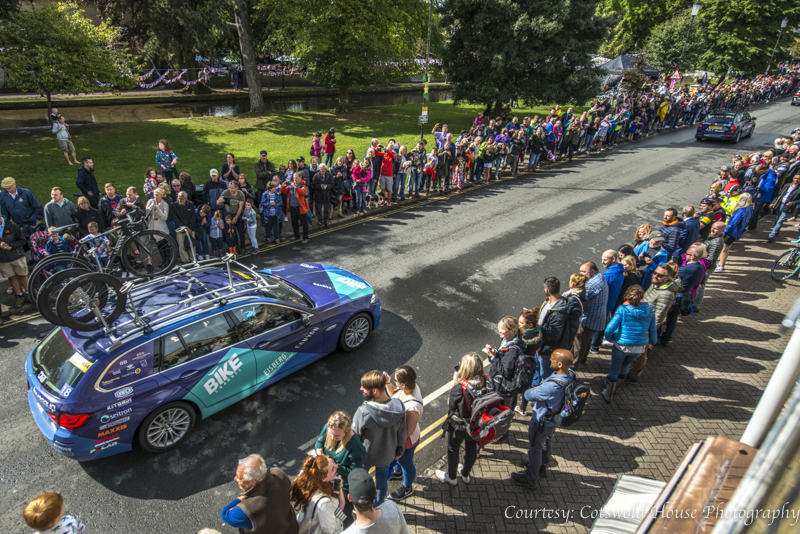 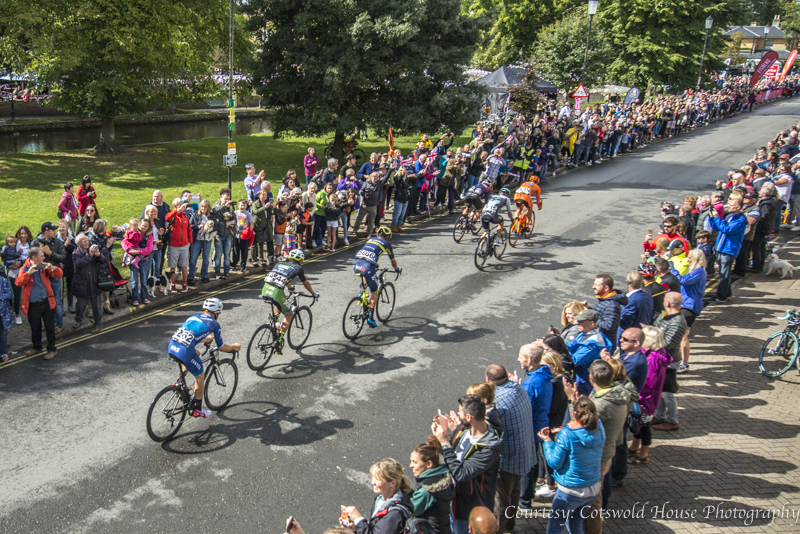 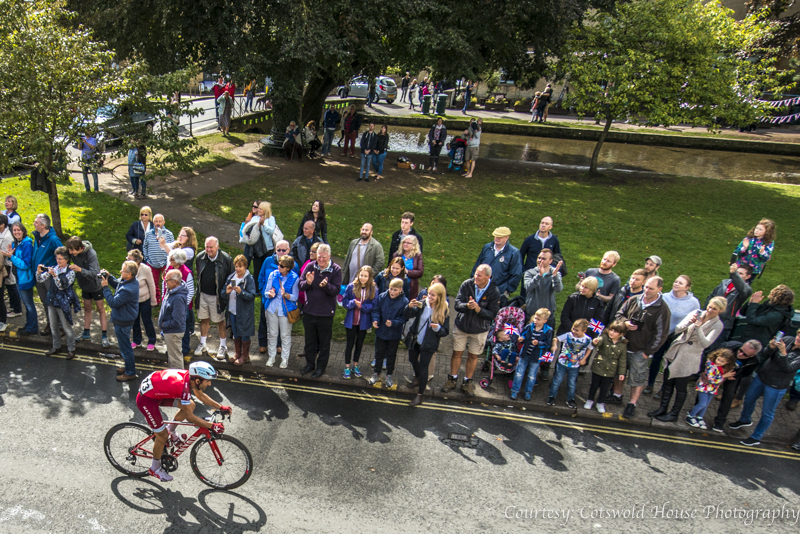 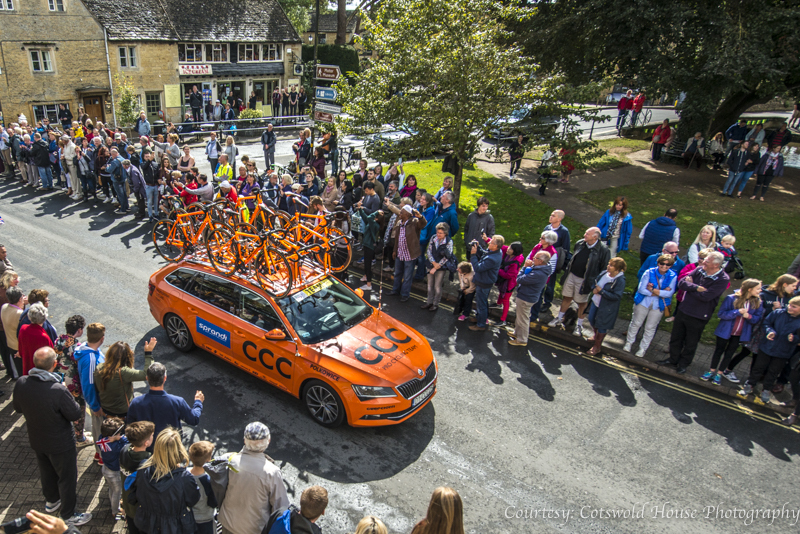 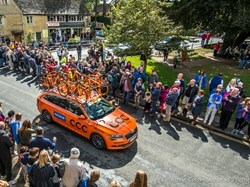 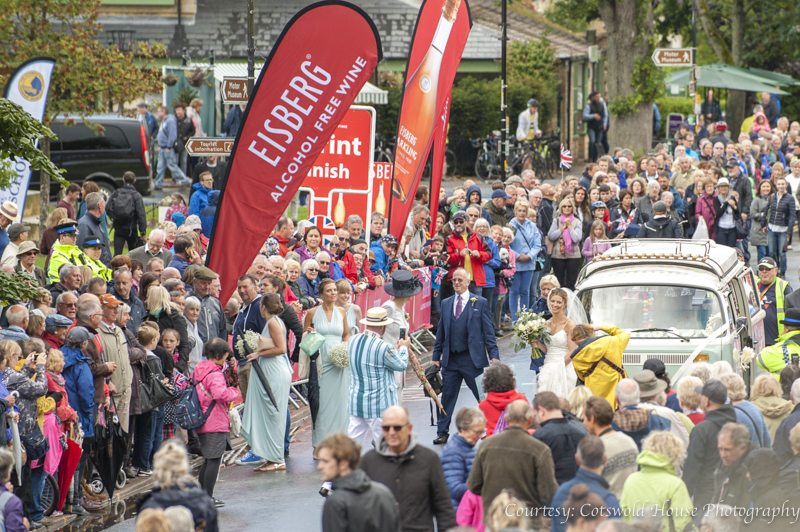 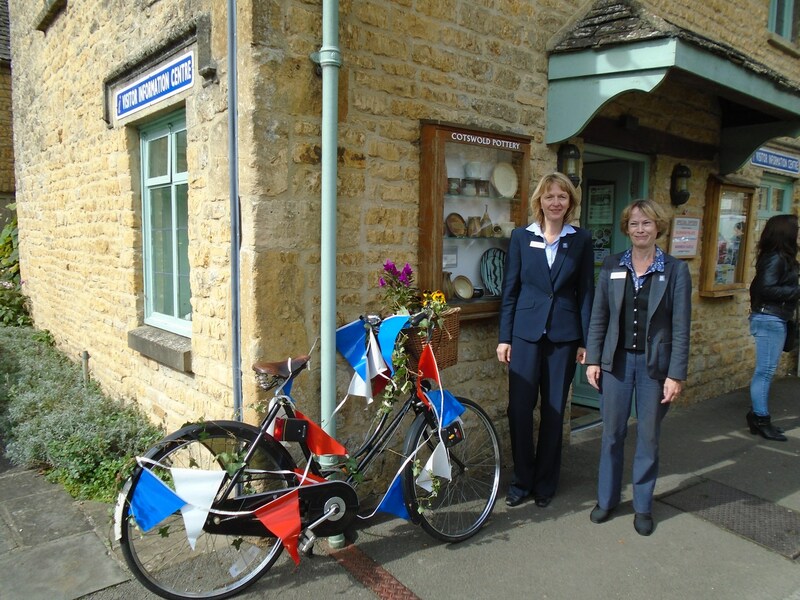 The Tour of Britain came to the Cotswolds on Saturday 9th September, the penultimate stage of the 2017 tour. 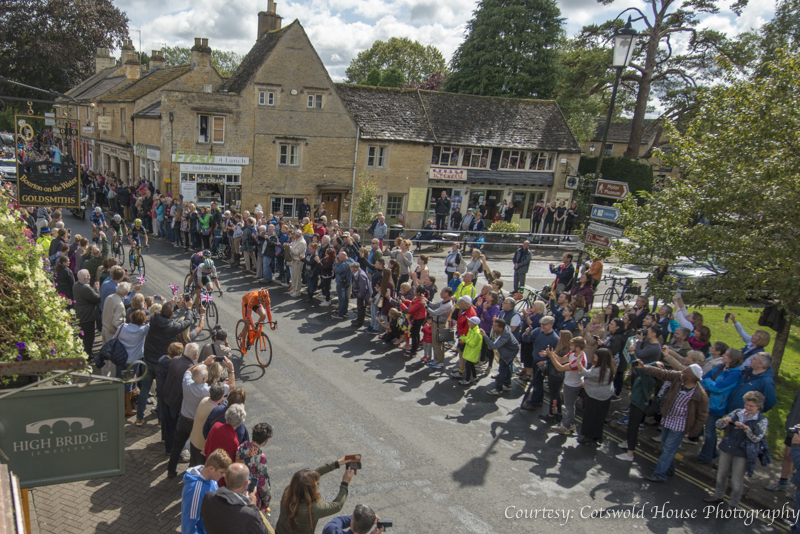 Entering the Cotswolds just north west of Woodstock, the tour sweeps down through Charlbury and on to Bourton on the Water. 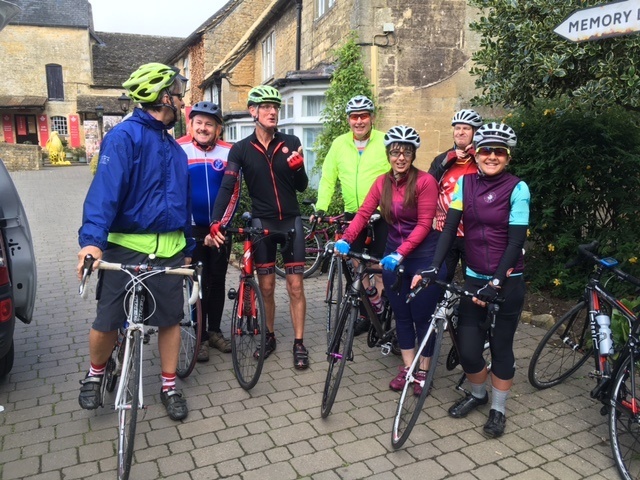 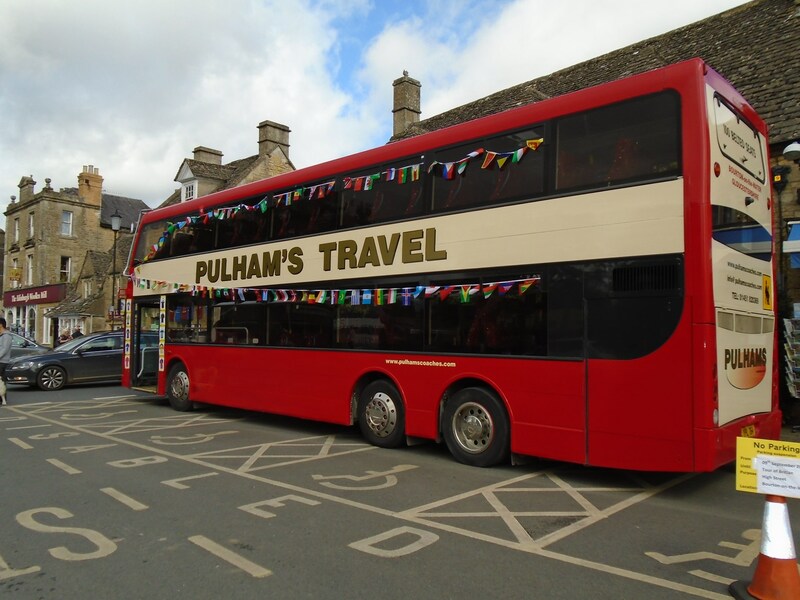 Here it turns onto the Fosse Way and travels up to Stow on the Wold and Moreton in Marsh before heading off west through the Cotswolds passing through Winchcombe before finishing on the Promenade in the centre of Cheltenham. 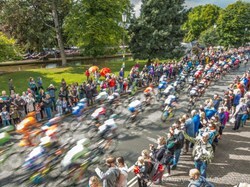 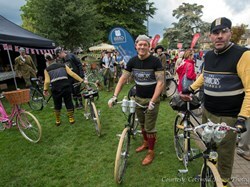 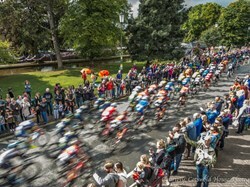 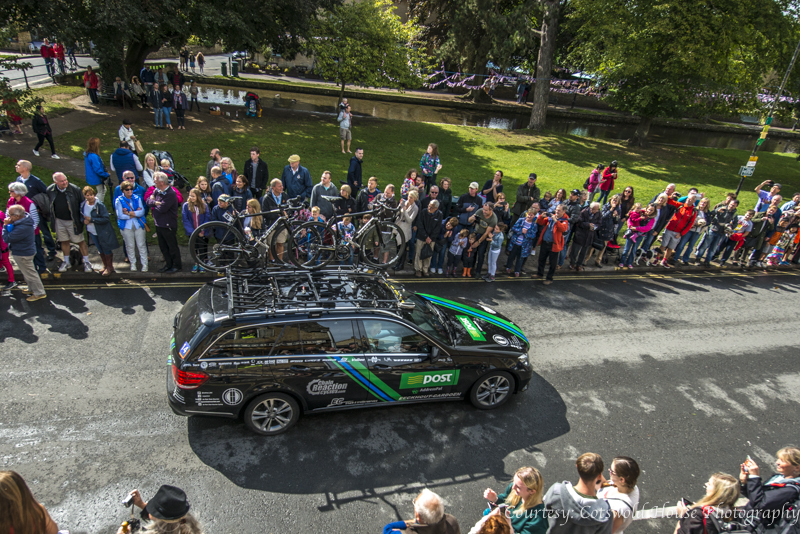 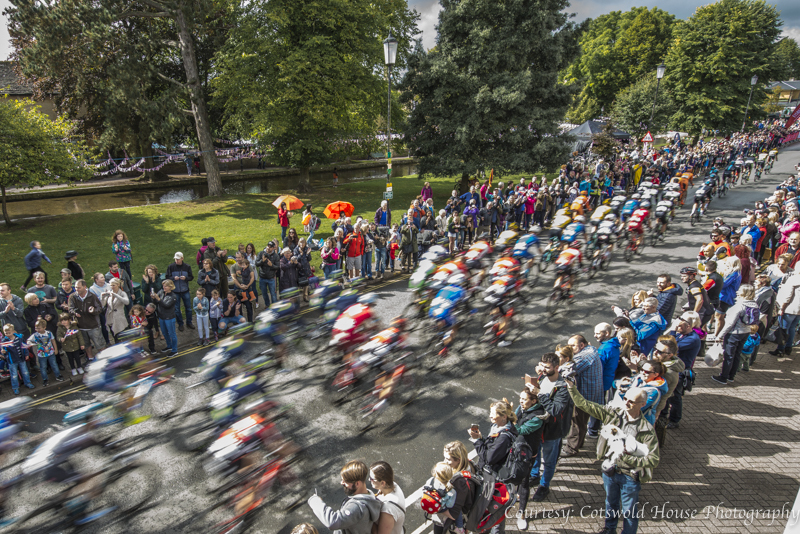 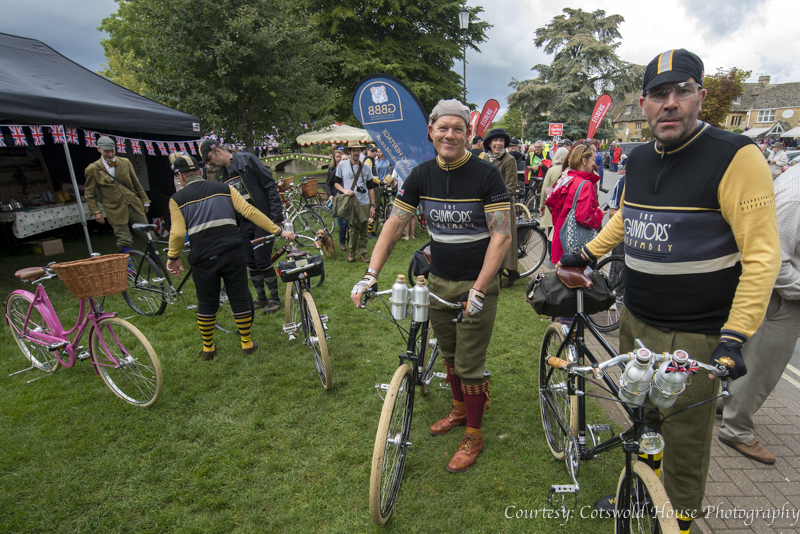 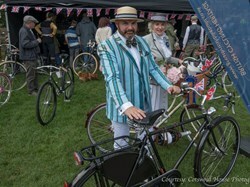 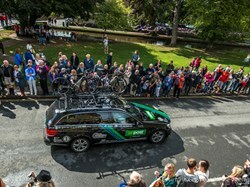 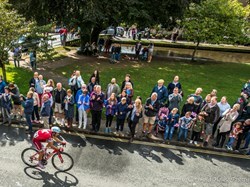 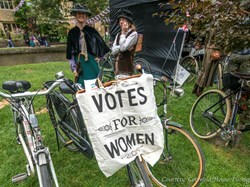 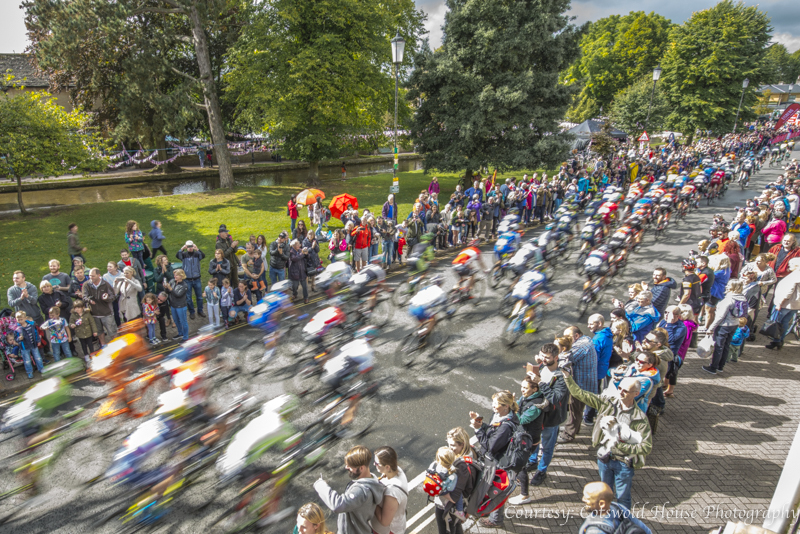 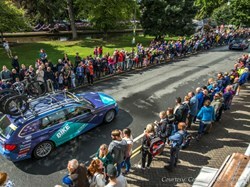 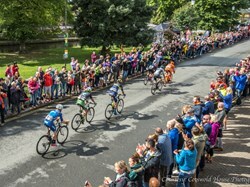 This was the first time that the Regency town of Cheltenham has hosted the OVO Energy Tour of Britain. 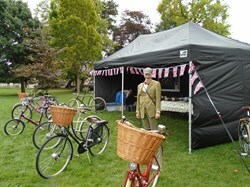 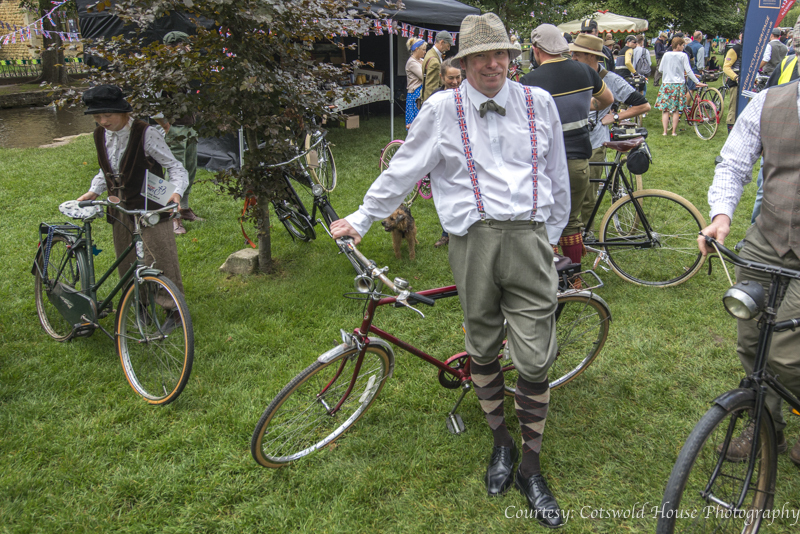 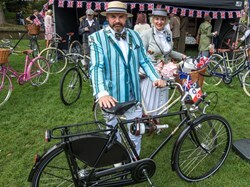 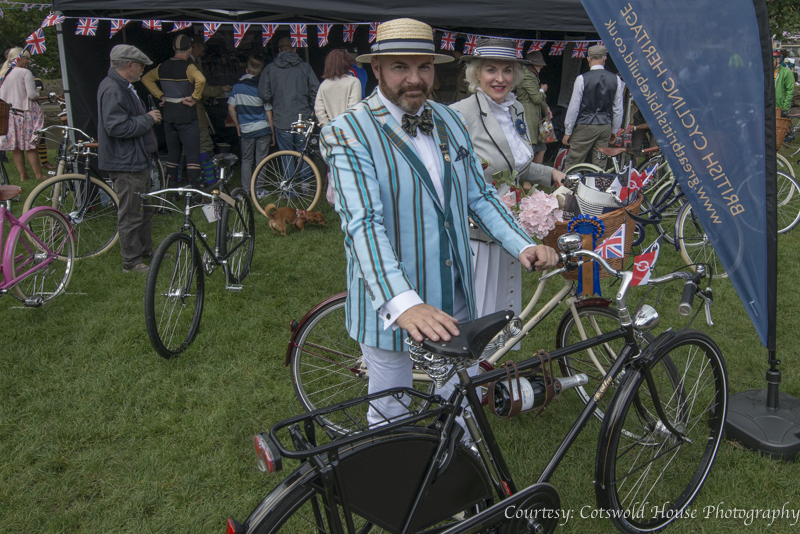 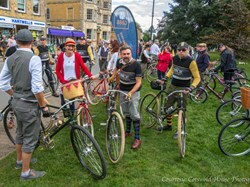 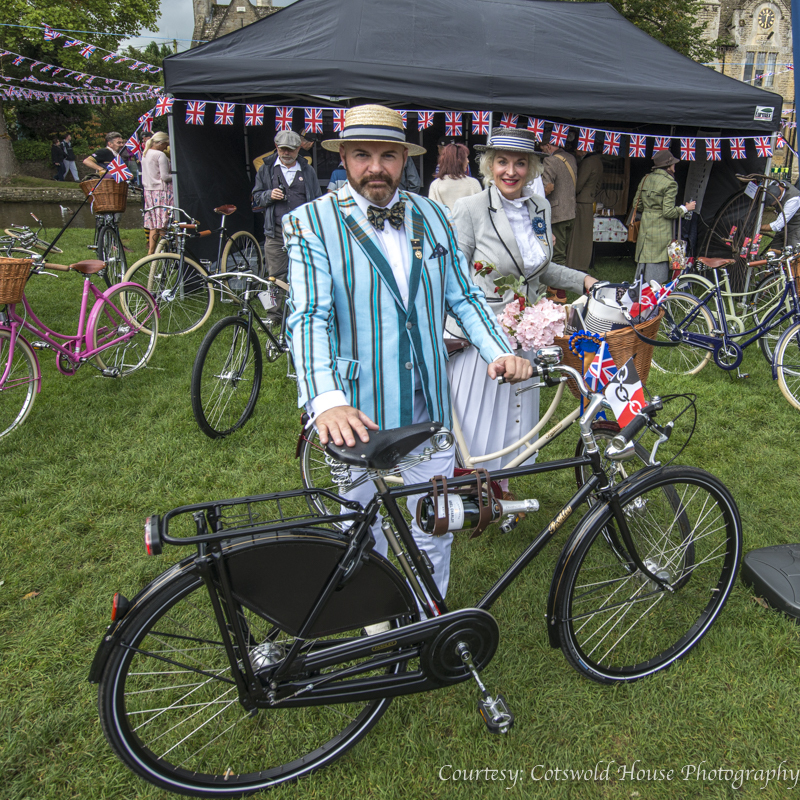 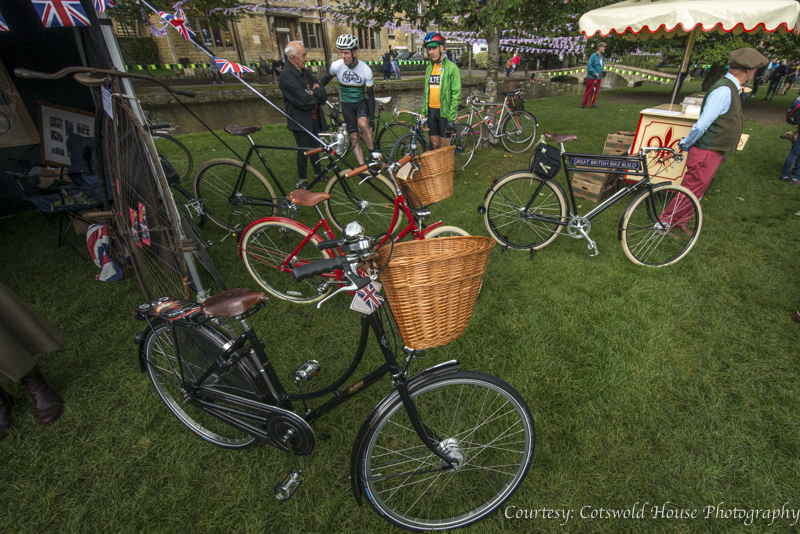 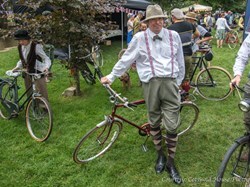 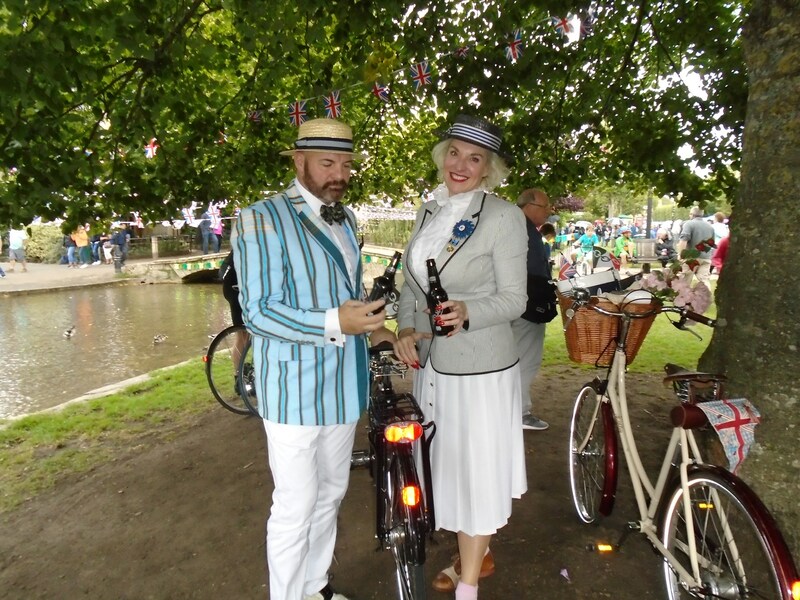 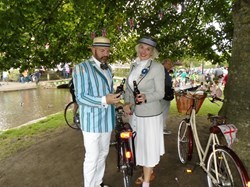 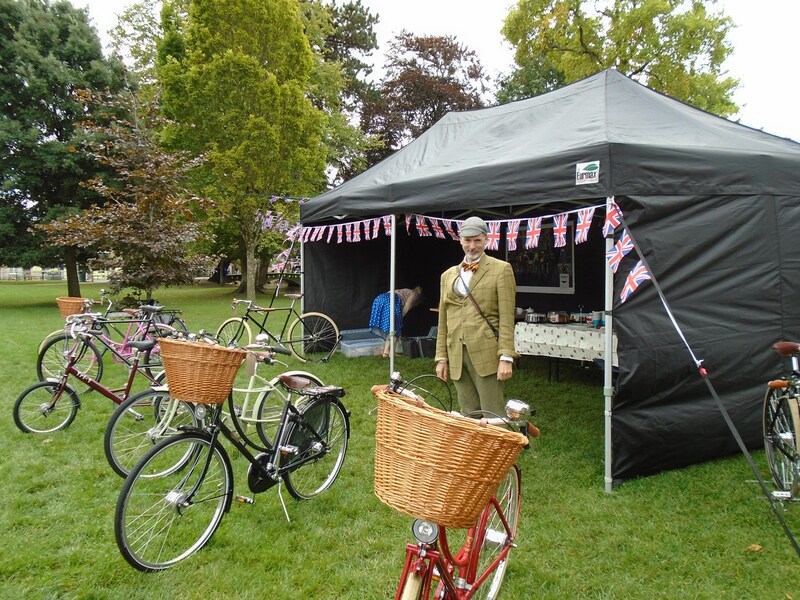 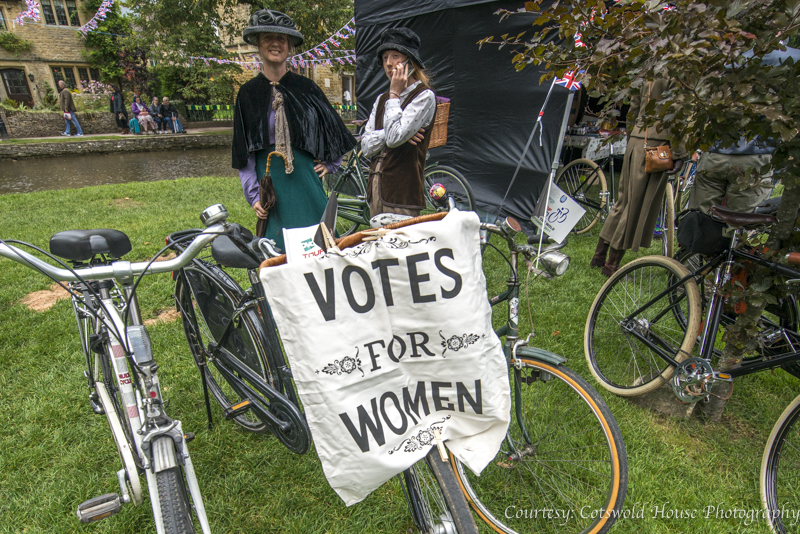 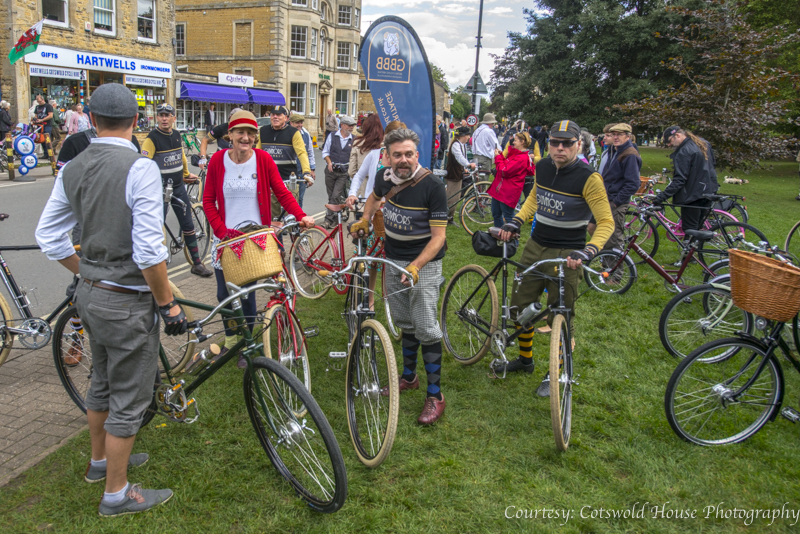 The Great British Bike Ride organised a ride out with 50+ cyclists in costume who riding from Moreton in Marsh to Bourton, via Stow and then set up a display of some vintage bikes on the Green. 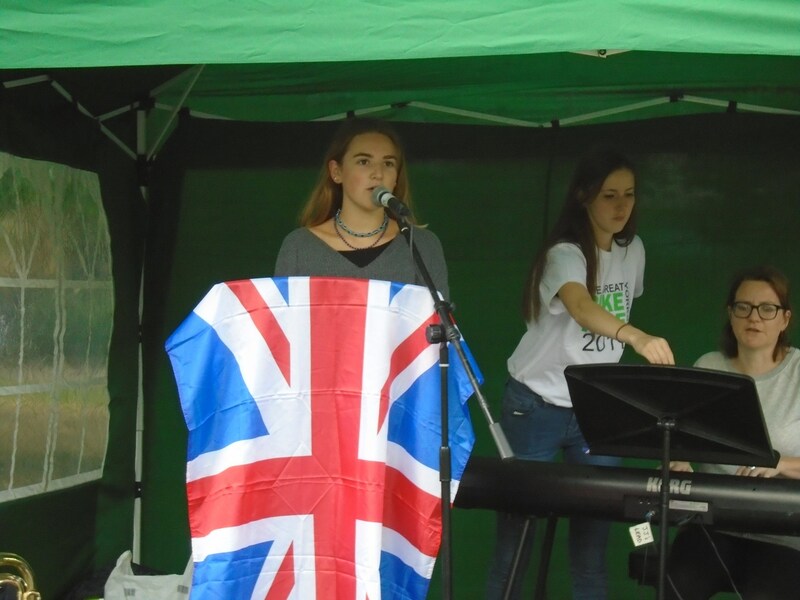 Singers from the sixth form set up on the Green to provide some background music to entertain spectators. 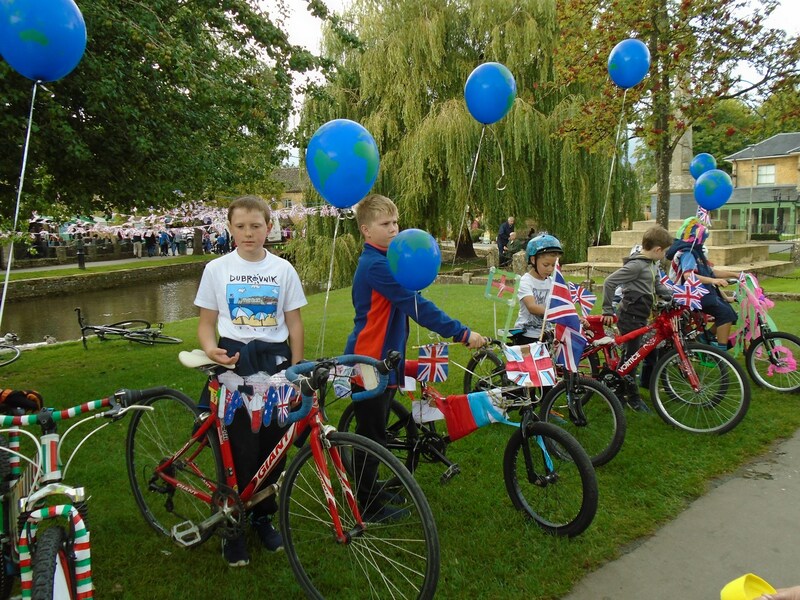 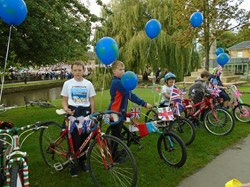 There was a “Decorated Bike” competition on the Green for local youngsters to decorate their bikes (and themselves) to reflect the international theme of the Tour itself, and add to the day’s spectacle. 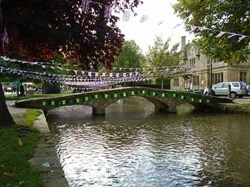 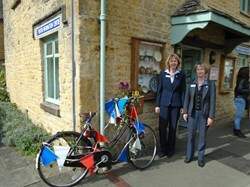 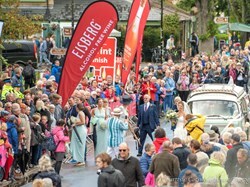 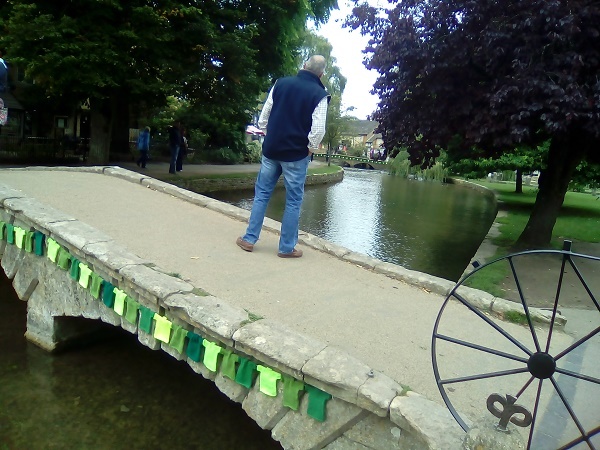 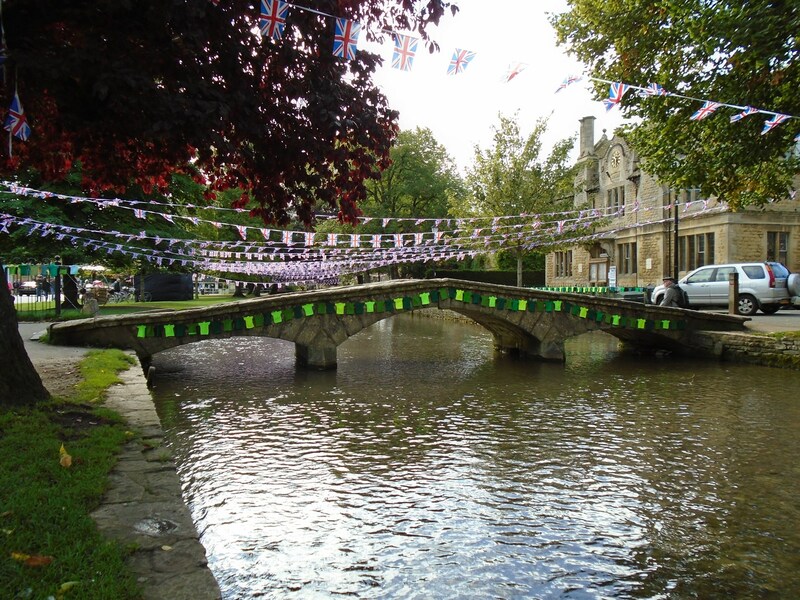 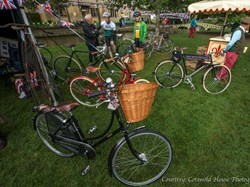 The village was decorated with different bunting, including knitted green jersey bunting to reflect the logo of the Cotswolds Tour. 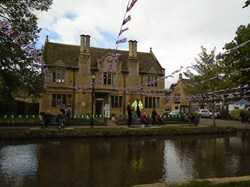 Some businesses along the route also decorated their windows and premises in line with the international theme. 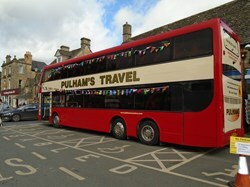 Pulhams chose to “park the bus” – a decorated double decker one – in the parking bays at the bottom of Moore Rd – to be used by Tour organisers as an Info/First Aid point and for spectators to have a sit down and watch the race. The Church held a fundraising coffee “morning” for Glos. Historic Churches Trust and then opened its doors to all-comers between 10.00 and 16.00 serving light refreshments and showing the race on a wide-screen TV throughout the afternoon.